When I told my friends and family I'd be going on vacation to Italy this January, one of their first questions was consistently this: You're not going to be vegan, there, right? 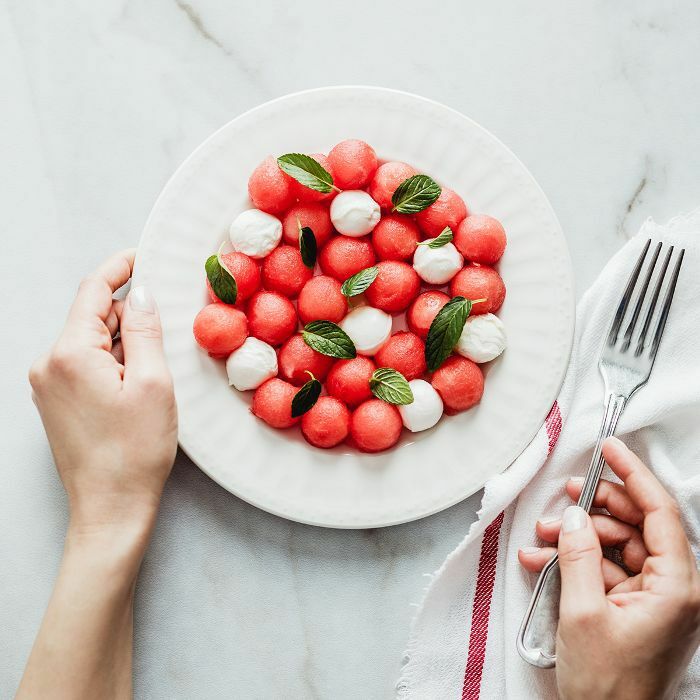 Indeed, as a well-documented follower of plant-based living, news of my plans to enter the land of burrata, mascarpone, and pecorino for a month pushed my diet to the forefront of everyone's minds—including my own. If my trip had arrived at any other point in my life, I probably would have tried to stay plant-based while in Italy (I've been vegan in Europe before—dirty looks aside, it can be done), but having just gone through a breakup and experiencing a newfound thirst for rebellion, I decided, screw it: For the first time in two years, I'm going to eat all the pizza, gooey pasta, and frothy cappuccinos I desire. And for a month, that's exactly what I did. It was delicious and decadent, and I have no regrets… well, except for what proceeded to happen to my skin. Skin health experts agree that what you eat shows up on your face, and in the case of dairy, it's rarely good. Dairy is mucous-forming and difficult to digest (thus, why so many people are lactose intolerant), and sometimes, a side effect of that blow to the digestive system can arrive in the form of cystic acne or hard, painful bumps under the skin. "The hypothesis is that since the majority of milk in the U.S. comes from pregnant cows (and some cows are given growth hormones), the hormone levels in milk may play a role in excess sebum production, which promotes acne," explains Renée Rouleau, Byrdie's go-to esthetician to the stars. These hormones in milk occur naturally, and when they react with your own body's cocktail of testosterone and hormones, that's when your sebum production skyrockets. As Rachel Nazarian, MD, a board-certified dermatologist in New York City, says, "The process, along with increasing inflammation, worsens or flares acne pimples." So if you're already breaking out (say, due to stress or travel or your period), dairy could make it worse. My dairy-induced breakouts, which cropped up in the final days of my cheese-soaked trip, could be found along my chin and jawline. Nazarian says that the lower face and outer areas of the face are anecdotally where dairy breakouts most often occur, though there is technically no empirical support for this. Either way, that's definitely where mine decided to show up. Luckily, I had a pretty good idea of why these big, sore pimples were happening, so I didn't flip out. I just surrendered to the notion that they were the sacrifice I made for a lot of delicious pizza and calmly decided to do everything I could to treat them. And two weeks later, they were almost completely gone. Here's what I did to go from broken-out to clear-skinned after a major dairy bender. 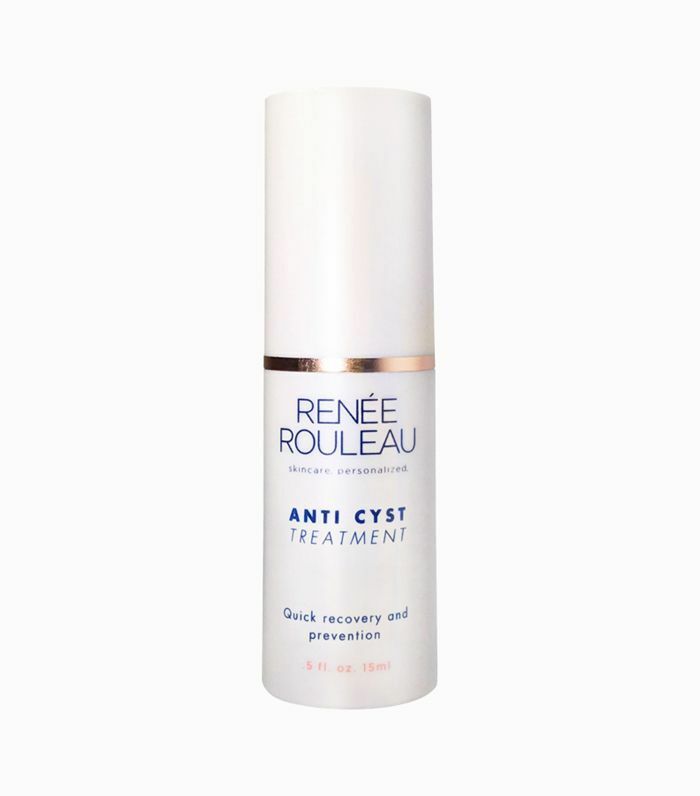 A high-quality spot treatment is like a solid best friend, but for deep hormonal breakouts, I pretty much want to marry Renée Rouleau's cult favorite Anti Cyst Treatment. By Rouleau's instruction, I applied this purifying treatment at the first sight of a cyst. Rouleau says the product can "dramatically flatten the visible appearance of the bump by about 50% more quickly than when using nothing at all" and has been a miracle-worker for thousands of her customers since she created it three decades ago. Don't have this exact treatment handy? No worries: Nazarian says treating your breakout with a topical anti-inflammatory or over-the-counter benzoyl peroxide or salicylic acid–based product will help. Try Neutrogena's On-the-Spot Acne Treatment ($6) or Murad's Rapid Relief Acne Spot Treatment ($22). This one might sound obvious, but no matter how many topical products you pile on your blemishes, the most effective cure comes from the inside out (at least it did for me). "Try cutting out your dairy completely for two weeks and see if that improves the condition," Rouleau suggests, adding that in her 30 years as an esthetician, she has "cured" dozens of her clients' cystic acne simply by recommending that they go dairy-free (or at least scale back). 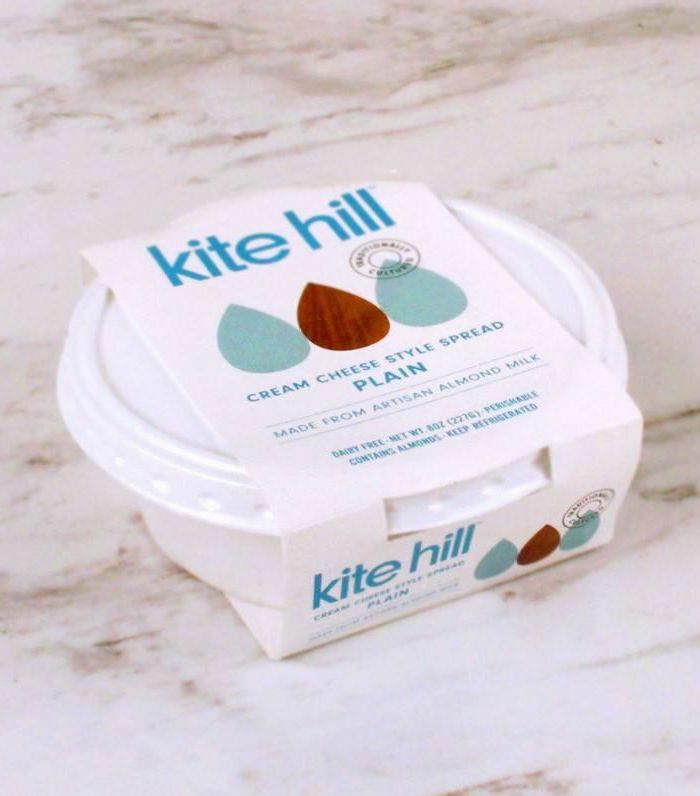 Don't know how to live without milk and cheese? We put together a whole list of advice for how to cut out dairy. Sounds counterintuitive, but all that air travel I was doing on my return from Italy to the United States seriously parched my skin—and dehydration, according to Nazarian, can make the skin look even more inflamed and cause cysts to appear redder. "Stay hydrated, drinking lots of water and fluids. Recommended six to eight glasses a day," she says. You might also try swapping out your exfoliating toner for a hydrating one, like Etude House's SoonJung pH 5.5 Relief Toner ($16). I don't make a habit of failing to remove my makeup at night, but sometimes when I'm traveling, I get lax about it. This does not bode well for existing breakouts. When dealing with problem skin, Nazarian suggests avoiding any occlusive topical products, such as heavy makeup, powders, or lotions, no matter how tempting it might be to paint over those zits. "Use oil-free, noncomedogenic products," she says. Vichy makes an amazing foundation for blemish-prone, sensitive skin. (Click here for seven other noncomedogenic foundations). If the breakout feels so out of your control that you just don't know where to go, hitting up your dermatologist or esthetician can't be a mistake. I promptly paid a visit to Renée Rouleau for a round of lancing and extractions to "reset" my skin. But getting a cortisone shot at the derm's office can also work in a pinch. We wish you the best of luck with your post-dairy skincare routine.